Words by Kevin Doocey on April 22, 2014 .
of financial reward at the fore. According to the article published by the respectable Mark Douglas, Mike Ashley will sit down with Pardew at the end of the season and review how the campaign went - much like an annual board meeting at, say, a major sportswear company like& - Sports Direct? However, the really interesting aspect to the article is the suggestion that Ashley has had several meetings with senior figures at the club regards the club’s plan for the summer transfer market. 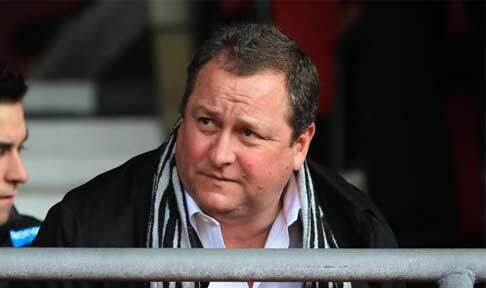 Now while plenty will dismiss the chances of any real ambition being shown by the billionaire whilst on Tyneside, it does confirm one thing - Ashley has no intention of leaving any time soon. Not only that, but if such reports are true - it looks like Ashley is taking a more hands-on approach with the internal dealings of the club after an embarrassing debacle involving the appointment and departure of Joe Kinnear. MA may not care about his reputation on Tyneside, but he does want to protect his investment, and in order to do so, it must be replenished. Several meetings as indicated by The Journal may - to the eternal optimist - suggest a seriousness about some real recruitment this summer, however whatever way you look at it, the 50 year-old is getting more involved in the football side of matters. Whether that is a good thing or not remains to be seen, but recent events involving a certain Vincent Tan in Wales would suggest otherwise. We’d love to see some real investment in some quality players at Newcastle, and more importantly - it would be good to see such business completed early in order to prepare for the 2014⁄15 campaign professionally. While such a wish should not be wishful thinking, it is hard to see Ashley digging deep and recruiting 4 top quality players. Despite that, he seems to be trying a new approach at Newcastle regards transfers — it can’t turn out any worse than previous years, can it? Thoughts in the comments below, and as ever - feel free to follow myself on Twitter @KevinDoocey! Cant see anything mind blowing happening here. The club needs at least 4 or 5 qaulity first teamers. You could flog on a few of our crap players for a few mil, but ashley is just not the type to fork out silly money. unless its a bargain or free - no major news here Im afriad. He will have to get some players in, otherwise its relegation next season and that will cost him more than it would to bring in a few half decents on the cheap like goufran a least a manager like moyes would get them fighting with a bit of team spirit, which is more than pardew is capable of getting. That's the fear! One will hope some major progress is made this summer, but we will likely be left disappointed, albeit hardly surprised at the end of it all.